One of the most effective payment remedies for direct contractors, subcontractors and material suppliers is the mechanics lien. First conceived by Thomas Jefferson to encourage construction of the then “new” capital city of Washington, D.C., the long history of mechanics liens also extends through California’s history, which is the only state among the 50 to guarantee mechanics lien rights in its constitution. By the way, if you’re ever in Virginia, I highly recommend seeing Jefferson’s home Monticello, which he designed and built, and the University of Virginia, which he designed. 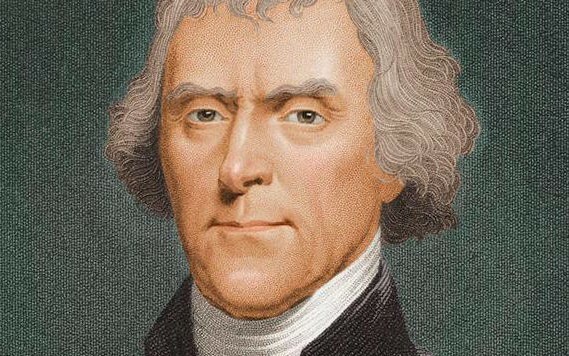 Not only was Jefferson one of the founding fathers, he was also one of the country’s original owner-builders. A mechanics lien creates a security interest in real property in which labor and materials are furnished. If a mechanics lien claimant is not paid, the claimant can file a lawsuit to foreclose on the mechanics lien to have the property sold and the proceeds from sale used to satisfy the amount of the mechanics lien. Analogy: A mechanics lien is like the deed of trust recorded on your home to ensure you pay your mortgage. If you fail to pay your mortgage, the bank can foreclose on the deed of trust to have your house sold, and the proceeds from the sale used to satisfy the amount outstanding on your mortgage. But, with one big difference. While a deed of trust can only be recorded if the homeowner agrees to it, a mechanics lien can be recorded without the consent of the property owner, which makes it a powerful payment remedy for those who furnish labor, equipment and materials on a project. On what types of projects can a mechanics lien be recorded? Direct contractors, subcontractors, material suppliers, laborers and trust funds. Do I need to serve a preliminary notice in order to record a mechanics lien? It depends. Laborers are not required to serve a preliminary notice. Direct contractors are only required to serve a preliminary notice if it’s a lender financed project. And, subcontractors and material suppliers of all tiers are required to serve a preliminary notice. Is there a deadline to record a mechanics lien? Yes, but it depends on whether you are a direct contractor, subcontractor or material supplier. (2) 60 days after the owner records a notice of completion or cessation. (2) 30 days after the owner records a notice of completion or cessation. How early can I record a mechanics lien? Again, it depends on whether you are direct contractor or a subcontractor or supplier. If you are direct contractor, you cannot record a mechanics lien until after you have completed your direct contract. If you are a subcontractor or supplier, you cannot record a mechanics lien until after you have ceased providing work. What information is required to be included in a mechanics lien? The monetary demand of the mechanics lien claimant after deducting all just credits and offsets. Are there restrictions on the amount I can demand in a mechanics lien? Yes, the amount demanded in mechanics lien must be the lesser of: (1) the reasonable value of work provided by the mechanics lien claimant; and (2) the price agreed to by the claimant and the person that contracted for the work. This raises a number of potentially thorny questions such as whether work performed pursuant to an oral change order, work performed pursuant to an unsigned written change order, and if delay, disruption or acceleration claims can be included in the amount demanded in a mechanics lien. It is doubtful that work performed pursuant to an oral change order or work performed pursuant to an unsigned written change order can be included in the amount demanded in a mechanics lien since the law provides only that a mechanics lien claimant is not precluded from including in its mechanics lien an amount demanded for “work performed based on a written modification of the contract.” However, it appears that a mechanics lien claimant may include delay, disruption or acceleration claims but only if it arises from the rescission, abandonment or breach of the contract. Where and how do you record a mechanics lien? A mechanics lien should be recorded in the county recorder’s office of the county where the project is located. The recording fee for recording a mechanics lien varies in each county recorder’s office but is usually between $25.00 and $40.00. You should bring in the original (with your originally-signed signature and verification) and I suggest bringing three copies to get file-endorsed for your records. There are also mechanics lien recording services which can do all of this for you. Do you need to do anything after you record a mechanics lien? Yes, several things. First, you need to serve the mechanics lien on the owner, and if the owner cannot be located, on the original contractor and construction lender (if any). However, I believe it is good practice to serve it on all three, including the person to whom you furnished work. Second, you must file a lawsuit to foreclose on the mechanics lien within 90 days after the mechanics lien is recorded. You must also record a notice of pendency of action within 20 days after filing a lawsuit. Third, if a lawsuit to foreclose on a mechanics lien is not brought to trial within two years after the lawsuit is filed the court may in its discretion dismiss the action for want of prosecution. Note: You can extend the deadline to foreclose on a mechanics lien if you enter into a notice of extension of credit with the owner. In that event, a mechanics lien claimant must file a lawsuit to foreclose on the mechanics lien within 90 days after the expiration of the notice of credit but in no case later than one year after completion of the work of improvement. Yes, several things. First, if a lawsuit is not filed to foreclose on a mechanics lien within 90 days after the mechanics lien is recorded, 90 days after the expiration of a notice of credit, or 1 year after the project is completed, the mechanics lien is considered “stale,” and you can file a petition with the court to have the mechanics lien expunged. You can recover all reasonable attorneys fees incurred in expunging a “stale” mechanics lien. Second, if a mechanics lien is not “stale,” you can obtain a mechanics lien release bond. A mechanics lien release bond releases the mechanics lien, and the mechanics lien claimant then has to make a claim against the release bond. A mechanics lien release bond must be in an amount equal to 125% of the amount claimed in the mechanics lien and premiums are typically 2-3% of the total bond amount. A mechanics lien claimant has six months from the date notice is given of the recording of the mechanics lien release bond to file suit against the bond. Third, you can negotiate a settlement with the mechanics lien claimant in exchange for the mechanics lien claimant recording a release of its mechanics lien. Are attorneys fees recoverable in a lawsuit seeking to foreclose on a mechanics lien? So, the question is whether this exception applies to me – I am a residential homeowner but I don’t currently “occupy” the home because it isn’t ready for occupancy. Do I have to serve the Notice of Cessation or not? Ronnie, I’ve not seen any cases addressing whether an owner of a single family residence would satisfy the “occupied as a personal residence” requirement if the owner “owns” but does not “yet” physically live at the residence. The safest course of action would be to serve the notice of cessation to avoid a potential dispute, altogether. I’m not sure what’s going on here. do they just want to see the prelim we sent our customer? I didn’t know they could do that. What does that mean for us? Hi Sandy. They are asking you as the direct contractor to provide the names and addresses of the owner and any construction lenders. See Civil Code section 8208 for this requirement. A question regarding a mechanics lien. If one of two financial claims in a mechanics lien is inflated or false, does that invalidate both claims or only the inflated or false claim? Hi Kjell. A mechanics lien is simply the means by which a security interest may be created in real property. If an owner disputes the amount of the mechanics lien he can dispute the amount in court (assuming the mechanics lien claimant filed suit to foreclose on the mechanics lien) but it wouldn’t invalidate the mechanics lien, per se. It just becomes a disputed fact in the case. If I bond off a mechanics lien that was placed on my property, and the plaintiff files to collect on the bond, will I be named in the suit as well? I’m hoping that by bonding off the lien I will be free from dealing with an unstable plumber. Bill, as the “principal” on the bond you will be subject to being named in any lawsuit to collect under the bond. Many subcontracts have a paid when paid with no time period. Some say until the General has exhausted its remedies. I understand the word”reasonable”. I assume it is a fact question. Do you think foreclosure suit against the owner well before the general has exhausted it remedies be splitting the cause of action.? Hi Jim. I’ve never heard of someone claiming that a party was splitting a cause of action by filing suit to foreclose on a mechanics lien when there is also a contract provision providing that the general will pay a sub when it gets paid by the owner and defining a reasonable period of time as the period of time for the general to pursue its remedies to conclusion, although, in litigation, you never know what someone might claim. To me, the flip side, is that a mechanics lien claimant had a certain period of time to record a mechanics lien and foreclose on it. Is the lien claimant supposed to let its lien go stale because of such a contractual provision? I have a hard time believing a court would allow that to happen. 1. Suppose he actually files a lien, and then attempts to foreclose – would the trial be the time that we would argue that he is in breech of contract and has not finished so is not entitled to further payments? 2. Assuming the judge does not accept our argument (and from what I have read about how unfair the system is to the consumer that seems likely) what happens next? Once a foreclosure order is given can we at that point simply write a check for the amount owed and finish off the business? The amount is minimal < $5K so paying it is not an issue. I am just wondering if that would still be an option or would the residence have to go into foreclosure and sale at that time no matter what. In all the articles I have read no one really talks about the foreclosure process, what happens, and what are options at that point. Any guidance is appreciated. Hi J. Foreclosure of a mechanics lien would occur after trial at which time, if the subcontractor prevails, the court would issue a decree of foreclosure. If the subcontractor prevails, in order to prevent the subcontractor from proceeding with the sale of the property to satisfy its mechanics lien, you can negotiate payoff of the subcontractor but the subcontractor may demand payment of its filing costs as well. I have a similar question to the others. I am plumbing contractor. I worked for a friend who is the owner /builder of the home. It’s a new project. I am a sole proprietor. From May 2017. I just had finished rough inspection and they moved on to finish Sheetrock. In August I got a call from a lawyer that the clients found leaks in my gas piping and unfinished plumbing. This was the only contact I’ve had from the clients since I was on site. I was shocked because I was waiting to go back to work to finish. The project started in September 2016 for me. So long periods of time between work was normal. They followed up with a letter from the lawyer saying they wanted restitution from my work, and hired someone else who supposedly found defects in my workmanship. In addition I found out the person they hired is not licensed for said work. They also claimed I argued with subs on the job and even the inspector. The lawyer asked to talk to me but never answered my calls to the office. I responded with a certified letter that under the right to repair act they should have notified me and I claimed breach of contract, and I said the balance on the project was 5900 and change. I immediately went to the county and filed a lien on the property owned by them that the house sits on for 320.00 because that’s what they owed up to the point that I worked. The original oral contract was for 15,000. I feel cheated. 1) they never notified me of dismissal. Thus the repair act section 910 and 896 I believe. 2) And since the actual project wasn’t complete as of August the 90 day rule doesn’t apply? 3) Since I’m in direct contact with the owner which is also the builder and he pulled all permits, and is financing himself I didn’t need a prelimary notice? Any help would be very useful and if you could please note where I can find in the civil code. Thank you. Hi Shawn. Unless this is new construction, as opposed to remodeling work, the Right to Repair Act would not apply. Further if you were in direct contract with the owner you would not need to serve a preliminary notice unless a construction lender was involved. Having said that, given the small amount of your claim, if you wish to pursue this, you would likely be better off in small claims court. Hi, Garret. Yes, that makes perfect sense to me. Thanks so much for the reply. Thanks as always for the great blog posts and for the Q&A feature. I have a question about a final Release of Mechanic’s Liens when there has been a partial payment and Partial Release of Mechanic’s Lien. The general contractor then pays the remaining balance of $25,000 on March 1. The parties agree that 1) all amounts on the project have now been paid in full and 2) the subcontractor will record a Release of Mechanic’s Lien. The subcontractor prepares a draft Release of Mechanics Lien that refers only to the Partial Release recorded on February 1. In other words, the subcontractor wants to say that “Notice is hereby given that the mechanic’s lien executed by Subcontractor, in the original amount of $25,000, recorded as Instrument Number 202 on February 1 against Contractor, is hereby released.” The subcontractor asserts that because it already released part of the lien, it only needs to release the balance. Is that language – which refers to the Partial Release — sufficient to properly extinguish the entire lien? Shouldn’t the final Release of Mechanic’s Lien refer to the underlying ORIGINAL lien recorded January 1 and its entire amount – i.e., state that it releases “the Mechanic’s Lien recorded with [county] on January 1 as Instrument Number 101, in the original amount of $50,000”? Hi MK. The important thing is to make it clear to someone looking at the title records (like a title company) that the mechanics lien has been released in full. My practice when recording a release of mechanics lien when there has been a partial release is to reference the titles and document numbers of both the original mechanics lien and the partial release so that it is clear to someone looking at title that the mechanics lien has been released in full. Hope this helps. As a general contractor we filed a mechanic’s Lien on a project, then when the owner didn’t pay for the change orders, we filed another lien for the change orders. We were lucky in that the owner paid us for both the original and the change order liens the day before going to court. My question is: do I need to file a release for each of the liens or one release for the total amount. Hi Debbie. You should a release for each mechanics lien since each mechanics lien will have its own document number assigned by the county assessor’s office. Congratulations on getting paid. Hi Garret, A prime contractor recorded a lien on my property more than 120 days ago, no lawsuit has been filed, the lien is stale and there is not pending action against me/property. There was an Arbitration clause in our contract. If I want to move forward with having the lien expunged do I follow the normal process of sending a demand letter then 10 days latter petitioning the court if he does not respond? Or do Arbitration rules / laws apply to having the lien released? Hi Jim. Arbitration rules would not apply since only a Superior Court judge can issue an order expunging a stale mechanics lien. Thank you for your reply. What kind of suit am I filing? small claims? It depends on the amount of the claim. If you’re filing as an individual and the claim is $10k or less then you would file in small claims court. If the claim is in excess of $10,000 but below $25,000 you would file in limited jurisdiction court. If the claim is in excess of $25,000 you would file in general jurisdiction court. Hi TNL. Answers to most of your questions should be covered in the blog post. You should send a copy of the mechanics lien to both the owner and the contractor who you contracted with. You have 90 days from recording the mechanics lien to file suit to foreclose on the mechanics lien. I have a question about recording notice of cessation. I had a falling out with my first home improvement contractor and all work ceased for 36 days and then I hired a new contractor. Is it too late for me to file the notice of cessation? I recorded a lien but later realized that I forgot to include billing amounts from my firm’s last two months of work on the project. Do I need to record a new lien (assuming I still can) that states the entire amount, or is the entire amount of services rendered protected by virtue of the original lien, even if it did not state the full amount? Hi Jonathan. The Civil Code does not address your situation. However, I suggest that you record an “amended” mechanics lien. Otherwise, you would need to release your original mechanics lien and record a new mechanics lien which may raise issues regarding the timeliness of that new mechanics lien. I did a $2500 plumbing repair job on a $300,000 home in South Carolina and filed the lien. I found it to be totally useless because for some odd reason the lien is only good for six months? What is the logic behind that? What good is it if it expires so fast? The house sat on the market and eventually sold a year and a half later and nobody seem to care about my expired Lien! And nobody was going to foreclose on the house for that amount of money. I guess my question is why have an expiration? A lien is a lien is a lien! Hi Louis. Your question was posted to the “California” Construction Law Blog so I can’t speak to the laws in South Carolina. However, in California, you need to file suit to foreclose a mechanics lien within 90 days of a mechanics lien being recorded or the mechanics lien becomes “stale.” While I can’t speak to the laws of South Carolina, one reason there may be an expiration like there is in California, is because a mechanics lien (at least in California) is an involuntary lien which can be recorded by a contractor, material supplier or equipment lessor without the consent of the property owner. As such, the law requires that mechanics lien claimants file suit by a certain deadline (in California, as discussed above, its 90 days from the date of recording of the mechanics lien) to foreclose on a mechanics lien, otherwise anyone could record a mechanics lien and there would be no judicial process for determining whether the mechanics lien is valid or not. hello garret, I’m glad that I found you. I had a contract with company on a private lot where I performed work that I consider to be public work. I consider it to be public work because I have an a engineering lic and I had to go to the city for approvals. I did a sidewalk with a sewer. I did utilitys that required connection to the citys main lines. the project fell though due to failed checks and payment, then failer to respond, and a complete breach of contract. they even ditched the lease and the property owner is selling. he is selling his property claiming it has a new sidewalk and utilitys. I have his signature on a sewer improvement to his property from him and the city. he is the only person with singing right for the approvle. it is with that signature thatwe got an approvle number to commence the work. am I with in my rights for a mecanics lein on the owner of the property. i read that when public work is done on private property for improvments for a private property state lw allows lein for property owner. i need to know if I’m good to go after him for enrichment of his property. even tho he claims to have no conection to the construction. but i have his signature and a public entitys aprovle number on an approvle to work on the easement. what ground do i stand? Hi Giussepe. This is a complicated question which would require someone to take a look at the agreement between the developer and the public entity. Not uncommonly, a public entity will require, as a condition of project approval, that a developer perform work such as the construction of sidewalks, roads, and utilities where it is unclear whether such work is a public work (since it benefits the public and is ultimately maintained by the public entity) or whether it is a private work (since it is the developer who contracts for the work). Thus, I can’t say definitively whether you can record a mechanics lien or not. yes I know its a tough situation. I will have to try and take a look at the lease. it seems litigation will answer the question, but I don’t have interest in litigation. thank you for your time. You’re very welcome. Good luck to you. Is it possible to change the amount of the Mechanics lien? And what if they have made payments? Can we change the amount or should we close the original and record a second with a new amount? We are located in California. Hi Keevin. The mechanics lien statute does not address changes to a recorded mechanics lien, however, in practice I regularly see it done. Rather than releasing an existing mechanics lien and re-recording a new one, however, I would simply record an “amended” mechanics lien. Thanks Garrett. When the client pays off their amount, do we remove the lien at the recorders office or do they? Since you recorded the lien, you’ll need to release it. I have had a Mechanics Lien filed against an investment property I own. I had a local general contractor perform work on my private residence. He did a great job and we established a good relationship. After completing my work the contractor suggested that we find a local foreclosed single family residence and “flip it” for a profit. He suggested that if I financed the project he would perform all labor for the renovations. Once the home was complete we would sell the property and split the proceeds. I agreed and we did just that. After finding a home the contractor gave me an estimate of costs and time to complete the project, which was $75,000 and 3-4 months construction time to complete. Unfortunately the project dragged on forever and the project costs increased. The contractor stated that “the project was more involved than I initially thought”. I tried to be patient and understanding, but after one year and project costs totaling more than $150,000 I finally insisted that I bring in another contractor to finish the job. I was experiencing financial difficulties and needed to finish the project quickly so that we could sell the property and recoup my costs. After paying another contractor $21,000 more the project was finally finished up in about 3 weeks and placed on the market for sale. About 2 weeks later I received notice of a Mechanics Lien in the amount of $49,500 placed on the property by my original contractor. The notice came by certified mail. I also received notice from our county clerk/recorder about the lien. We currently are in escrow on the property and I need to remove the lien in order for the sale to go through. BTW, after the sale I have every intention of splitting the proceeds (profit) with the original contractor. Because of the increase in project costs and lengthy construction period there is not nearly as much profit as originally projected. The lien amount of $49,500 is way more than what we will actually end up profiting from the sale. One final note, this was a “handshake” agreement. We did not have any contract in writing regarding the project 😦 A valuable lesson learned My question is, after securing a release bond, is filing the bond with the county clerk/recorder and notifying the contractor of the bond release the only items I need to perform in order to have the lien removed? I would also like you thoughts on the matter in general. Hi Steve. I can’t offer you legal advice, but if you are correct that in order to release the mechanics lien you will need to secure a release bond, record the release bond, and give notice of the release bond (including a sending a copy of the release bond itself) to the contractor. Hi Terry. A home improvement salesperson does not have mechanics lien rights. Civil Code section 8400 limits mechanics lien claimants to the following: (1) direct contractors; (2) subcontractors; (3) material suppliers; (4) equipment lessors; (5) laborers; and (6) design professionals. Great post, hopefully you can help. I have never had to chase after a client for payment in the 20 years I have been in business, recently that has changed. I have done a great job for one of my clients, and he is not willing to make his final payment. He has asked me to perform illegal additions, which I declined, he also keeps asking me to teach him how to operate automatic timers I have installed, I programmed them for him on my own time and gave him instructions. None of the extra things I have done for this man are in our original contract but I have requests from him and I still did them because that is what I do, I have come to the conclusion that this man just does not want to pay me for the work we have done. The remaining balance is not a substantial amount, but I have done a lot of extra work that has added up to over $10,000 in expenses for me. I only want to collect the original payment which is less than $3000, so I contacted a lawyer and offered to only collect the original payment and not the extras, the lawyer told me he agreed to pay. I sent a letter to release him from the extra payment last week, today I called him to ask if he got the email, he laughed and said no, send it again. I am not re-sending a letter I know he has read. This man is a Doctor and I am very frustrated with his attitude. At this point, I do not even want to collect money, I just want to cause as much stress as I can. I plan to notify the city about the illegal work he has done on his project, and I would like to pursue any means necessary to cause him to be as frustrated as he has made me. My question is, how am I suppose to determine the date of completion on this project, is the project “unfinished” because according to him, I have not completed my work (I have finished everything and I passed the final inspection, he just keeps adding small items for me to complete to prevent payment). Hi Emin. Thanks for reading and sorry to hear about the problems you’ve been having. Unfortunately, there’s no easy answer to your question as to when “completion” has occurred. You may want to take a look at our post on completion which you can find here – https://calconstructionlawblog.com/2015/05/04/it-aint-over-till-its-over-why-project-completion-in-california-isnt-as-straightforward-as-you-think/. Good luck to you. Seven months ago (August 20, 2015) I signed a sales agreement with one local air conditioning company for the sale, installation, periodically maintenance and extended labor warranties. The sales agreement included the payment for City Inspections. I was approved by the HERO program to finance this transaction, so the A/C Company’s salesman & I signed all the corresponding documentation for the HERO financing. I detected several irregularities during the installation inclusive this company installed 2 units (of a total of 3) different in model number and capacity than the contracted. I expressed my dissatisfaction to the company’s employees and to the owner but they didn’t resolve the situation. I proposed to the Company’s owner to remove their equipment and cancel the sales agreement. Later it was apparently accepted by him during the mediation phase of my complaint at the CSLB but the owner renounced to this solution. On September 2, 2015 I submitted a complaint to the Contractor State License Board (CSLB) against the local A/C Company. All my concerns were manifested in this complaint, including the notification that during the installation the air conditioning system was left in service without the performing of any city inspection. I discovered and it was also notified to the CSLB that the sales man had his license expired during the transaction (license that still not active). There are much more sale and installation irregularities manifested to the CSLB. In October CSLB transferred this case to the Investigation Section. The case is still not resolved up today. On September, 2015 I asked to the HERO program customer service for the payment status for this services and they answered that I should not sign the installation satisfaction statement, if I am not satisfied. Therefore I have never signed it and in consequence the A/C Company has not received any pay. On September 11, 2015 I received via certified mail a PRELIMINARY 20-DAY NOTICE from the local A/C Company requesting for the entire payment of the sales agreement. On January 8, 2016 I received via certified mail a copy of fail recorded on 01/06/16 at our County in California. On March 17, 2016 I received on my hands from a third party a copy of SUMMONS (CITATION JUDICIAL) – Notice of I have been sued at the Court with date of March 8, 2016. 1. Were the lien steps executed in valid time by the local A/C Company? 2. Due to the difference between equipment sold and installed and to the irregularities during the installation, my proposed solution is still the removal of the A/C equipment by the local A/C Company. What can I respond to the Court? Hi jmartinez. I’m not sure that I can answer your question with the information you provided. The first issue though is who the company is that has sued you. Were they a subcontractor or material supplier to another contractor or were they in direct contract with you? If they were in direct contract with you then they would not need to serve a preliminary notice. If, on the other hand, they were a subcontractor or material supplier to another contractor they would have to serve a preliminary notice, and then, they would have to do so within 20 days of the last date of furnishing work or materials. The second question is when work (i.e., the project) was completed and if a notice of completion was recorded? If a notice of completion was recorded and the party who is suing you was in direct contract with you then they would have 60 days from recordation of the notice of completion to record a mechanics lien or 90 days from completion of the project if no notice of completion was recorded. On the other hand, if a notice of completion was recorded and the party who is suing you was a subcontractor or material supplier to another contractor they would have 30 days from recordation of the notice of completion to record a mechanics lien or 90 days from completion of the project if no notice of completion was recorded. Can you tell me whether, when obtaining a mechanic’s lien release bond, the owner must obtain approval from the Court prior to doing so, when there is a pending action to foreclose on the Mechanic’s Lien? Hi Debbie. Court approval is not needed. I’m a general contractor in California and have a cost analysis contract to perform value engineering prior to executing a construction contract for a project. We have helped develop the Scope Of Work, provided costing and now the Owner can’t afford to do the project and won’t pay us our fees. Can we file a Mechanic’s Lein based on 90 days from our last involvment? Hi J.R. Unfortunately, I would say no. There is a case – D’Orsay International Partners v. Superior Court (2004) 123 Cal.App.4th 836 – in which the Court of Appeals held that a general contractor who performed $850,000 worth of preconstruction services (but not actual construction) was not entitled to record a mechanics lien. Garret, thanks for this informative post. As a contractor, I’ve got a single contract with a developer involving work on three different properties. One is owned by the developer (D1), and the other two are owned by D2 and D3. Assuming I’ve complied with all notice requirements, is there anything stopping me from filing three separate complaints? Is it sufficient for me to allege in complaints 2 and 3 that the contract was breached, without actually suing on the contract? I guess my question is whether a foreclosure cause of action requires an accompanying collection cause of action. Hi Jason. Thanks for reading. You can file three separate complaints to foreclose on the mechanics liens or file a single complaint. Similarly, you can sue only for foreclose of the mechanics liens without also suing for breach of contract. As a practical matter though, there are efficiencies in pursuing all of your claims in a single complaint. Assuming I pursue the claims in a single complaint, can I get away with recording only one “notice of pendency of action” for the three properties, or must I record three separate notices, one for each property? Yes, since there is only one pending action you can record a single notice of pendency of action but you’ll need to record it on each of the properties in which a mechanics lien has been recorded. Can a construction project manager record a mechanics lien? Hi Travis. I’m not sure whether you mean a construction manager or project manager. Can you clarify. I guess as you can probably tell from my question, I didn’t realize there was a difference. I guess I am talking about a “project manager,” someone without a contractor’s license who is overseeing a construction project on behalf of an owner. The person would not do any physical work on the project, but would do things such as coordinating subs, negotiating with subs, handling payments, overseeing construction work for quality and conformance with plans, etc. I hope this clarifies my question a bit? Thanks for clarification Travis. Civil Code section 8400 identifies the persons entitled to record a mechanics lien and included among those persons is a “laborer.” Civil Code section 8024 in turn defines a “laborer” as “a person who, acting as an employee, performs labor upon, or bestows skill or other necessary services on, a work of improvement.” Under that definition I would say that a project manager qualifies, although, admittedly, I’ve never seen a mechanics lien recorded by a project manager. I recently filed a “Statement of Mechanics Lien” and now I need to follow up with filing a legal action seeking a court-ordered foreclosure sale of the real property on which the lien has been recorded. Where do I find the form to file this foreclosure action? Which court do I file it with? Should I also file a “Lis Pendens” or a “Notice of Action” pending on the Lien? Hi Daniel. There is no “form.” It is usually a complaint prepared by an attorney. And, yes, you need to record a notice of lis pendens also known as a notice of pendency of action within 20 days of filing the complaint. If during construction a subcontractor and the general contractor have disputed change orders and billing issues and the subcontractor files a lien, but the work is not complete, then the lien is filed prematurely no? How does the lien get removed? If the subcontractor decides to quit working on the project based on the disputed change orders and billing issues, how do they have to document that to be able to file a lien since the work under the contract is not complete? Also, if the lien is for an excessive amount, how does the owner or general contractor protest the amount of the lien? Can a subcontractor make up any number they want to lien? What documentation does the subcontractor need to provide to place the lien on the property? In the event that the lien is premature, or excessive, are the owner or general contactor due any expenses from the subcontractor to have the lien removed or fight the excessive amount? Hi Peter. Thanks for reading. You are correct, the mechanics lien remedy is only available to a mechanics lien claimant who has completed its work. Unfortunately, however, while there is a process called “expungement” to remove a mechanics lien in which a lawsuit to foreclose on the mechanics lien has not been timely filed, the expungement procedure is not available to challenge a prematurely recorded mechanics lien or to challenge the amount of a mechanics lien. You will need to go through the normal (i.e., time consuming and costly) litigation process and either prevail through a summary judgment motion or at trial. As to the proof a mechanics lien claimant must show to support the amount of its mechanics lien, there are no hard and fast rules, but the lien claimant is only entitled to the lesser of: (1) the reasonable value of the work provided by the claimant; or (2) the price agreed to by the claimant and the person that contracted for the work. This can be shown through testimony or documentary evidence. The mechanics lien claimant will also need to show that they completed their work. And, finally, attorney’s fees are not recoverable in a lawsuit to foreclose on a mechanics lien, but most cases also include a breach of contract claim, and if there is an attorney’s fee provision in the contract, the prevailing party would be entitled to recover their fees and costs on that basis. Can a contractor file/foreclose on a mechanic’s lien for an unsigned change order? Is there a process to dispute the lien because it states a false amount (e.g. includes fees already paid to contractor). Also, what exactly does it mean to “foreclose” the lien – is that a separate step distinct from foreclosing on the property? Hi Diane. Civil Code section 8430 provides that the amount of a mechanics lien is the lesser of: (1) the reasonable value of the work provided by the claimant; or (2) the price agreed to by the claimant and the person that contracted for the work. Thus, the contractor will have a difficult time showing that it is entitled to additional compensation without a signed change order. As to your second question, while there is a procedure by which a mechanics lien can be “expunged” if a lawsuit is not timely filed to foreclose on a mechanics lien, the expungement process is not available to challenge a mechanics lien which you believe is inflated. You will need to go through the normal litigation process and either challenge the amount through a motion for summary judgment or go to trial. And, as to your third question, as indicated above “foreclosing” on a mechanics lien simply means filing a lawsuit to enforce the mechanics lien after the mechanics lien had been recorded. Can my attorney sign the verification on the mechanics lien for me as my “authorized agent” or do I have to sign it myself since I am the claimant? Hi Mike. Thanks for reading. Your attorney can sign the verification if he has personal knowledge, however, I would suggest against it because he would then become a witness. If you later have to file suit to foreclose on your mechanics lien there’s nothing more awkward than your attorney examining himself on the witness stand, he (or she) will look like a schizophrenic. Thank you, Garret. It is also my understanding that an original must be filed with the County Recorder, so I can’t just fax over a signed version to my attorney to then record it? Shouldn’t you just be using me as your attorney? Kidding. Yes, a wet signed original is required for recording. I filed a lien last year but failed to file suit to foreclose on the property. I didn’t know that had to be done within 90 days of filing the lien, as I was under the mistaken assumption that the lien stayed with the property until change of ownership, wherein all leinholders on file would have to be paid before the property changed ownership. Is there any recourse for me at this point? so long as you do so not later than 90 days after project completion if no notice of completion was recorded. You would also have the right to bring a breach of contract claim against the party you were in contract with. Can a licensed contractor operating under a Prime Contractor(Prime Contractor has direct contact with homeowner) be categorized as a laborer if no written contract is in existence between the licensed contractor and the Prime Contractor while working beneath the Prime contractor? Hi Fernando. Thanks for reading. Likely not. California has a series of factors courts consider when determining whether someone is an employee or independent contractor. If you have your own license, and you are doing work within that license classification, you would likely be found to be an independent contractor not an employee. Hi Garret, assume that the owner bonds around a mechanic’s lien filed by a subcontractor. The statute basically tolls the time for the subcontractor to file his suit for six months after his receipt of notice that the bond has been filed (including a copy of the bond). The Claimant now would have to file his suit against the owner and surety company under its bond. Question-If, as I have seen many times, the claimant does not file the suit within the time frame, how does the owner get the lien expunged? As a surety bond agent that issues these bonds, many sureties require that the owner posting the bond deposit collateral to obtain the bond. The collateral is held by the surety until such time as the lien has been released. So, again, what is the owners remedy to get the lien expunged so that surety can release the collateral. Hi Jerry. The mechanics lien release bond as its name suggests, releases a mechanics lien, so there’s no need to expunge the mechanics lien. While the mechanics lien will still show up on a title report, so will the release bond, showing that the mechanics lien has been released. So, in short, I don’t think there’s anything that needs to, or can be, done. That’s interesting when you say “many sureties require that the owner posting the bond deposit collateral to obtain the bond” and that “[t]he collateral is held by the surety until such time as the lien has been released.” Civil Code section 8424 states in pertinent part that “an owner of real property or an owner of any interest in real property subject to a claim of lien, or a direct contractor or subcontractor affected by the claim of lien . . . may obtain a release of the real property from the claim of lien by recording a lien release bond.” Thus, under Section 8424, by virtue of recording of a mechanics lien release bond a mechanics lien is “released” as a matter of law, which would then suggest that if a surety’s contract says that an owner’s collateral will be held “until such time as the lien has been released” that the surety would be obligated to release the owner’s collateral once the owner records the mechanics lien release bond. I would not think this is what the surety intended. Instead, I would think that a surety would want to hold the collateral until all claims against the mechanics lien release bond have been fully and finally adjudicated or the statute of limitation against the mechanics lien release bond has expired. Hi Garret, I have a job that is about to be completed and a subcontractor filed a pre-lien a while back. If I don’t file a completion they have 90 days to file a lien correct? If 90 days has passed and they have not filed the lien they can no longer do so is that correct? Hi Chris. You are correct. On private works projects in California subcontractors and material suppliers must record a mechanics lien no earlier than after they have completed their work and no later than 90 days after completion of the project if no notice of completion or cessation is recorded. Great thank you. One more question if I don’t file what is the best way to have proof that the project ended on a certain date? Would the contractor signing off on the contract be sufficient? Chris, I’m not sure what you mean when you say “if I don’t file.” Do you mean if you don’t record a notice of completion cessation? Civil Code section 8180 defines “completion of a work of improvement” as either: (1) actual completion of the work of improvement; (2) occupation or use by the owner accompanied by cessation of labor; (3) cessation of a labor for a continuous period of 60 days; (4) recordation of a notice of cessation after cessation of labor for a continuous period of 30 days; or (5) if the work of improvement is subject to acceptance by a public entity, on acceptance. As you might gather, fights over when “completion” occurred are not uncommon, so recording a notice of completion is your best bet. I have filed a Mechanic lien and its 20 days to 90 days deadline. Now, I have no money to retain an Attorney. What other option is available to me. Please, help. Vince. If you are a sole proprietorship you can file a lawsuit to foreclose on the mechanics lien yourself. If, however, you are a business entity such as a corporation or LLC you will need to have an attorney file suit to foreclose on the mechanics lien. If you don’t timely file suit to foreclose on the mechanics lien you will need tontelease it or the property owner can file a petition to expunge the mechanica lien and seek an order for you to pay the owner’s attoneys fees for doing so. I just need to good some information regarding a lien right. we did a Mod at a business location under a subcontractor . I am afraid we are to late to file a mechanic lien , is there anything else we can do because I believe we are way pass the 90 days of the job completion. Also the owner never send us a notice of confirmation when we completed the job. Hi Alis. You would still have a breach of contract claim, and if there is a payment bond, a potential claim under the payment bond. Good luck to you. I hired a contractor with license B in California to do some home improvement. We moved out of the house because we want a lot of stuff to be done. The contractor hired an unlicensed man to do work inside my house. This subcontractor is partnered with his brother and has no employees according to their license. One of the brother doesn’t do the work. He have his brother and other unlicensed people to do it. That is illegal. I had paid for previous work done by his brother however I refuse to pay them for installing whole house baseboard and installilng the shower door. It is horrible work. I have huge lumps and splatter latex chauking on my baseboards and my shower do has tons of silicon stuck on chrome. They did try to remove some of it, but there is a lot that is hard to remove. I can see scratches on my chorme due to them using razor blades. They also made scratches in many places of my newly refinished hardwood floor. They filed a lien against my house and I found that out today at the country recorder office of santa clara. I never got any warning from them. They did this without days after I dispute with them about their quality of work. I spoike to the licensed guy today after almost 3 months of silence between us. It is pretty much like too bad you had to snitch on me , so I have to file a lien on your property. .This is very unfair. If I wanted unlicensed people to do work, then I go to outside of home depot’s parking lot or craigslist, then hiring this licensed cook by the name of Ken Y. to do work on my house. I never signed any contract. He emailed me an informal contract with the statement of the work I want to be done and pricing, then an area with his name and my name, but never a signature. This is so unfair that he can do this and now threaten me again to cancel my complaint against him with California contractor license board. What can I do.??? They came to my house on May 9th, 2014 without an appointment and used coercion and intimidation on me , so I called the police. They used their truck to block my driveway and saying if I don’t pay them I cannot leave, so this is why I called the cops. I got scare. It was 2 guys at first, then the 3rd guy showed up. It took the police more than 10 minutes and 2 phone calls before they arrived at my house. They were too lazy to make a report of what they seen. 3 guys against one lady (me ) right outside my house. I was very scare. please help!!! Jennifer, I’m sorry to hear what you’re going through. I don’t, and can’t, provide specific legal advice on my blog. However, from your description, it may benefit you to talk with an attorney as you raise a number of issues regarding licensure, home improvement contracts and construction defects. Can I file a Mechanic Lien after 90 days if the customer does not consider the job complete? I completed the job in December 2013 and have been paid on the original contract but I am still owed money for additional work agreed upon in emails outside of the contract. 1. Actual completion of the work of improvement. 3. Cessation of labor for a continuous period of 60 days. for a continuous period of 30 days. Or, if a work of improvement is subject to acceptance by a public entity, completion occurs on acceptance. Once you have determined whether or not you needed to have served a preliminary notice and once you have determined when “completion of the work of improvement” occurred, you have 90 days to record a mechanics lien if you are a direct contractor or 60 days to record a mechanics lien if you are a direct contractor and the owner recorded a notice of completion or cessation, or 90 days to record a mechanics lien if you are a subcontractor or material supplier or 30 days to record a mechanics lien if you are a subcontractor or material supplier and the owner recorded a notice of completion or cessation. So, I’m assuming there has to be evidence of some kind of employer-employee relationship (i.e. payroll) with a contractor or subcontractor (or whichever party is not paying the laborer)? Or that the laborer was promised a standard day rate for labor? Or that the laborer works almost exclusively with a contractor on its projects? (a) “Laborer” means a person who, acting as an employee, performs labor upon, or bestows skill or other necessary services on, a work of improvement. (b) “Laborer” includes a person or entity to which a portion of a laborer’s compensation for a work of improvement, including, but not limited to, employer payments described in Section 1773.1 of the Labor Code and implementing regulations, is paid by agreement with that laborer or the collective bargaining agent of that laborer. (c) A person or entity described in subdivision (b) that has standing under applicable law to maintain a direct legal action, in its own name or as an assignee, to collect any portion of compensation owed for a laborer for a work of improvement, shall have standing to enforce any rights or claims of the laborer under this part, to the extent of the compensation agreed to be paid to the person or entity for labor on that improvement. This subdivision is intended to give effect to the longstanding public policy of this state to protect the entire compensation of a laborer on a work of improvement, regardless of the form in which that compensation is to be paid. Also, while Civil Code section 8200(e) does not require laborers to serve a preliminary notice, if a laborer wishes to pursue a mechanics lien he/she must still record and serve a mechanics lien and file suit to foreclose on the mechanics lien pursuant to Civil Code sections 8410 et seq. I’m wondering if the Mechanic’s Lien might be used in cases where a general contractor does not pay subcontractors, and if that lien might be applied to the homeowner? I have a recently completed a small remodel and have just become aware of financial difficulties our general contractor is having. Our remaining balance is negligible, however, I am concerned there may be more unpaid bills with subcontractors than we are aware of. What is the best way to protact against this unknown? Hi J. Carlson. Sorry for the late reply. A mechanics lien is a great option for subcontractors who have not been paid by a higher-tiered contractor. The interesting thing about mechanics liens, is that a mechanics lien will create a security interest in an owner’s property even if the owner has already paid the contractor who has not paid you. That’s what makes a mechanics lien such a powerful remedy, and is also why owners should insist on receiving statutory waivers and releases with each payment.